Did Lightning Fry My PC? A bad lightning storm left a desktop PC unbootable. Connie asked the PC World forum for advice. First, unplug the computer, open it up, and have a look. Have a sniff, too. An unusual smell may lead you to the damaged piece. It's probably the power supply. That's where the electrical spike would come in, and it's thus the most likely component to be damaged. 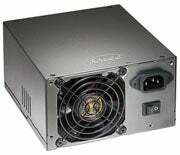 Luckily, power supplies are relatively cheap and easy to replace--some cost less than $40. Of course, if you have to replace your power supply, you should get one that will cover your needs. See Is My Power Supply Powerful Enough? Take a good look at the motherboard, as well. Look for swollen, blistered, or charred areas. Replacing the motherboard is considerably more difficult, and effectively means replacing the computer. remove the RAM modules and examine them for damage. They're relatively cheap and easy to replace. My thanks to forum regulars coastie65 and backbuster for their contributions to the original forum discussion.